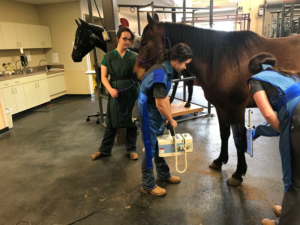 Exclusively Equine welcomes externs to ride along with us during our appointments. 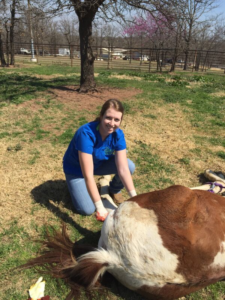 Dr. Kin is an enthusiastic teacher and enjoy mentoring veterinary, pre-vet, and veterinary technician students. 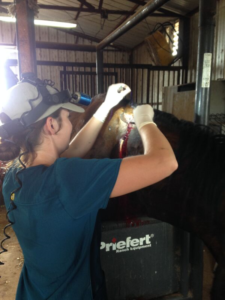 We are a general practice so externs get exposed to many different aspects of equine primary care. 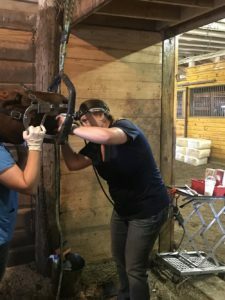 Amount of direct involvement depends on your horse and veterinary experience. We work from 8AM until whenever we are done, sometimes that is very late! Dress code is clean jeans, a collared shirt or scrub shirt, and boots. The only other thing to bring is a great attitude and willingness to dive in when asked! We look forward to seeing you soon! To apply, please download and fill out the application below. 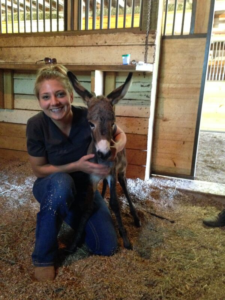 Submit by mail to PO Box 721777, Edmond, OK 73172-1777 or via email to exclusivelyequinevet@yahoo.com.